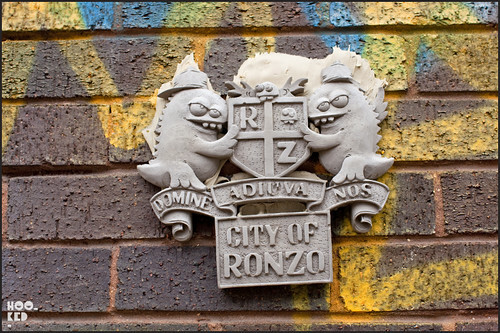 East London artist Ronzo has been hitting the East London streets recently with a number of cast concrete installations of some of his signature urban monster characters pictured above. 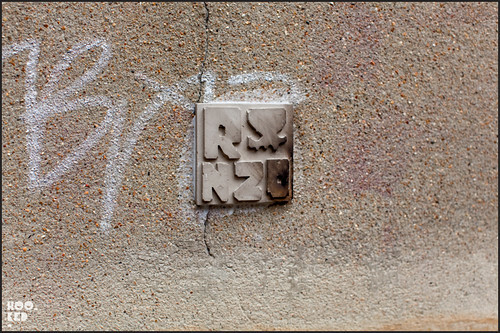 As well as these more elaborate pieces he has also been installing what I guess you could label as almost like concrete RONZO tags. 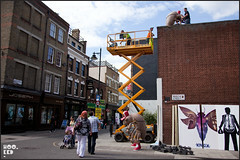 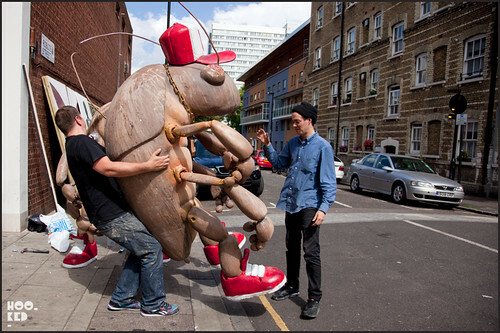 We caught up with the artist as he was preparing to install some of his larger 3D pieces on a rooftop in Whitecross Street for the upcoming Whitecross Steet party. 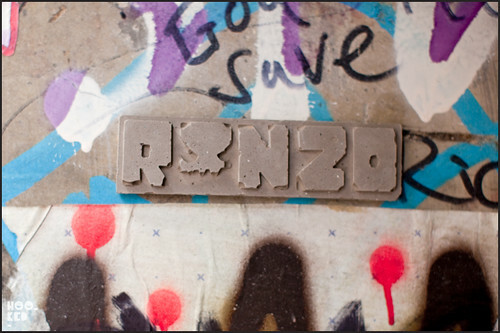 We spoke to Ronzo about the concrete street work and he told us that these were test pieces and that we could expect to see more of these on the street at a later date so we suggest you keep your eyes peeled!